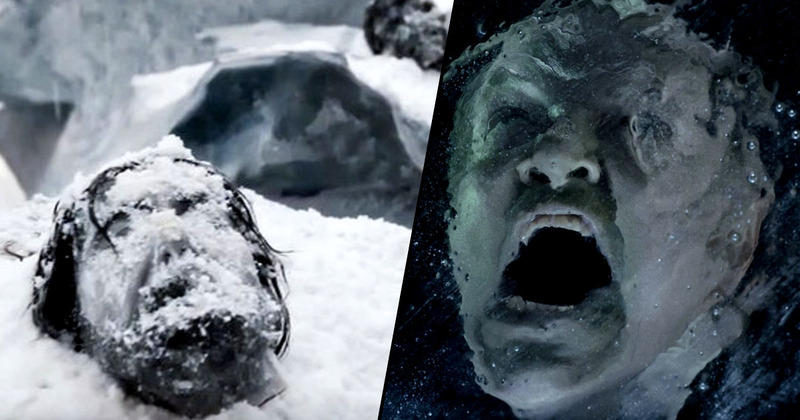 From the TV channel behind Breaking Bad comes The Terror and it looks truly f*cking terrifying. 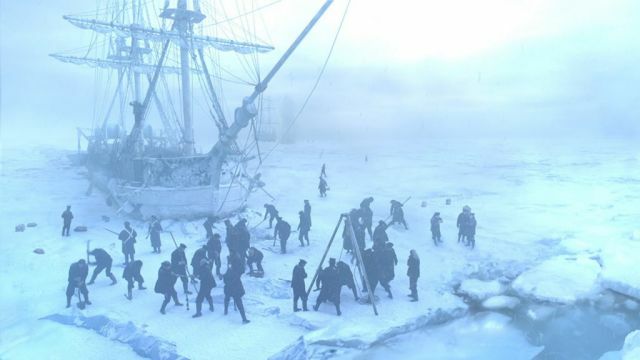 It’s no hidden secret that AMC know how to absolutely smash out a classic and cult TV series and The Terror looks set to deliver on all accounts. With a cast of Ciaran Hinds (Game Of Thrones), Jared Harris (Mad Men), Tobias Menzies (The Night Manager) and countless others – the show has all the ammo to completely explode. As if things couldn’t get any better, the show is being produced by none other than Ridley Scott, who of course brought us Gladiator as well as Alien and Black Hawk Down. The story goes as follows. Two British ships are travelling as far as humanly possible into the Northwest Passage in the North Pole. And then what? Of course they don’t make it. That would be boring. Instead the two ships end up stuck in ice with no way out. As the ships begin freezing into the ice sea beneath them and the crew begin to frantically worry about their destinies, stranger events unfold – forcing the seamen to question if there is something more mysterious lurking out there in the unknown. Earlier this month the show was released in the US, where it received rave reviews, with some even going so far as to say it’s the ‘scariest thing you’ll see all year’. There’s an impressive confidence to the storytelling that will grab viewers with a taste for sophisticated horror. All-round terrific acting is a huge part of it, notably from Harris in his best role since Mad Men. Wow. I personally can’t wait for this one to drop, and thankfully we don’t have long to wait as the show comes out in the UK at 9pm on Tuesday 24 April.